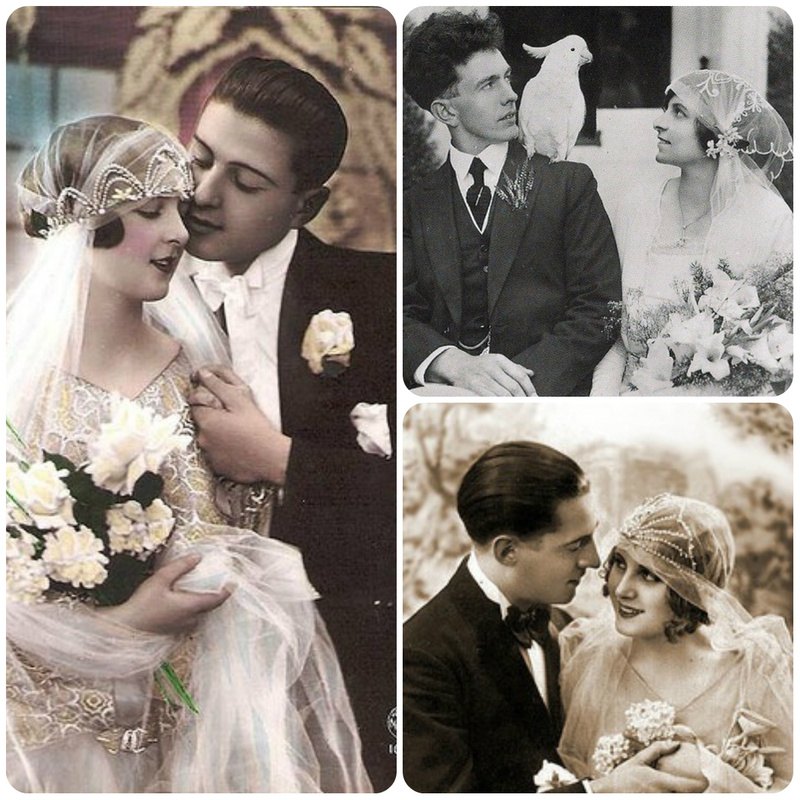 You’re dreaming of a timeless wedding with the romanticism of the past. Just imagine a lush 1940s waves in your hair, or a swanky champagne gown that a ’30s film star would have swooned over. Fortunately, you’re not alone. 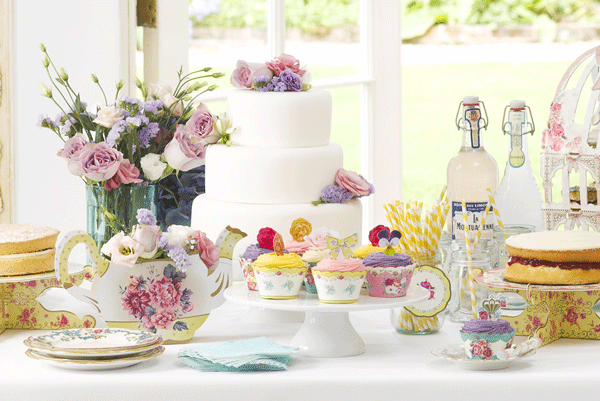 Vintage weddings offer such a wealth of possibilities for unforgettable design, fashion, food and drink that you’ll find plenty of vendors ready and waiting. So, where to begin the planning process? In the past, of course! Start by choosing your time period. Is there a particular decade that you’ve always been fascinated with? Movies, books and artwork can let you preview the grandeur of the different periods and get your creative juices flowing. If you feel particularly rooted to your heritage and your family’s older generations, what could be sweeter than presenting your own twist on your grandparents’ nuptials? Next, decide how retro you want to go. Do you want a thoroughly vintage affair, all the way from the save-the-dates to the guest favors, with even your guests getting into the act with period outfits and hats? Or would you prefer a more modern wedding and reception, with a few well-placed historic details? Either way, these tips will help get you started. Those little cards with save-the-date info are your first chance to introduce guests to your vintage theme, a motif that can continue into all your paper products (invitations, ceremony programs, thank-you notes, etc.). 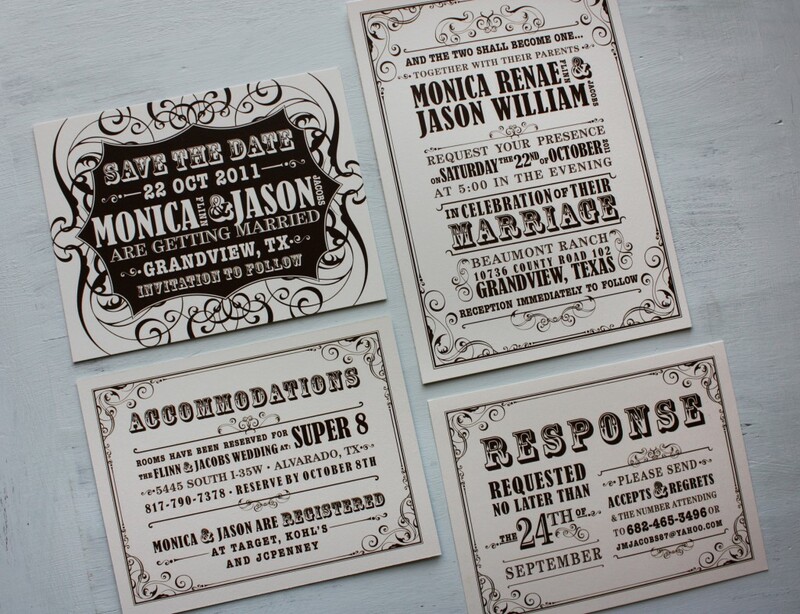 You can research old styles of lettering from your time period or design your cards and invites through customizing sites like Invitations by David’s Bridal to look like old photos, theater programs, telegrams or steamship tickets. 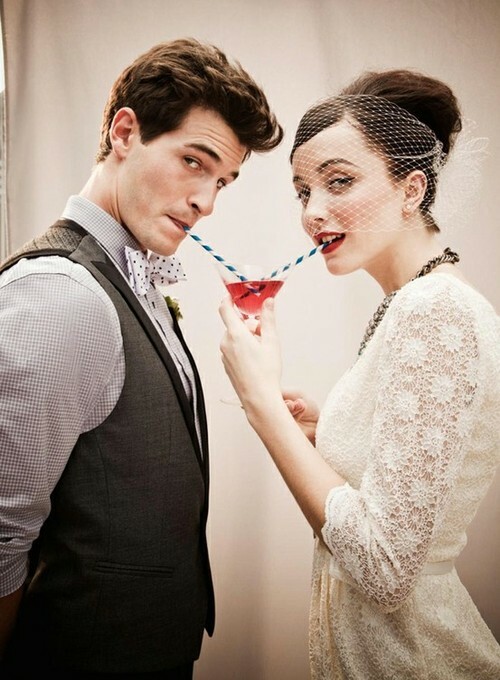 Do you want your guests to wear vintage attire? Give details on your save-the-dates, and provide ideas for local costume-rental shops, so they can plan ahead. 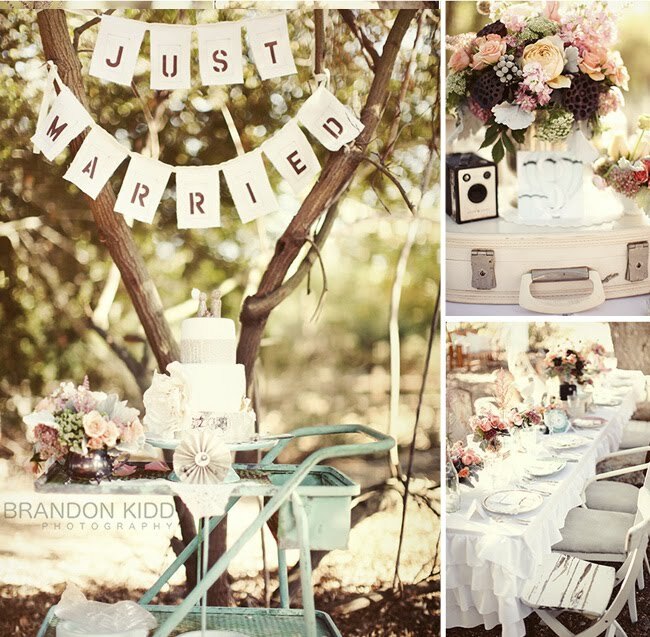 The right venue will set the perfect vintage mood and determine many of your design and decor choices. In decades past, weddings were often held in homes, with lovely garden receptions outside, so this will do for many time periods. A house in the country might have a rustic barn for the ideal shabby-chic reception. Seek out a venue from a specific era. Imagine a ’20s ballroom with Gatsby grandeur, a funky ’60s-style art gallery, or a quaint early-1900s church and mansion. If your venue is more standard, like a catering hall or hotel, add design touches that transport your space into the past. Your wedding colors and fabrics can conjure up a time period. Turquoise contributes a 1950s sparkle, while soft pinks and laces look more turn-of-the-century. Choose hues and materials that complement your venue. You can incorporate vintage items all through your decor. For lighting, line your ceremony aisle with candles in antique holders or hang timeless chandeliers over your reception tables. Purple velvet table runners give a luxurious Renaissance look, and small dioramas inside antique apothecary jars are conversation pieces for guests. 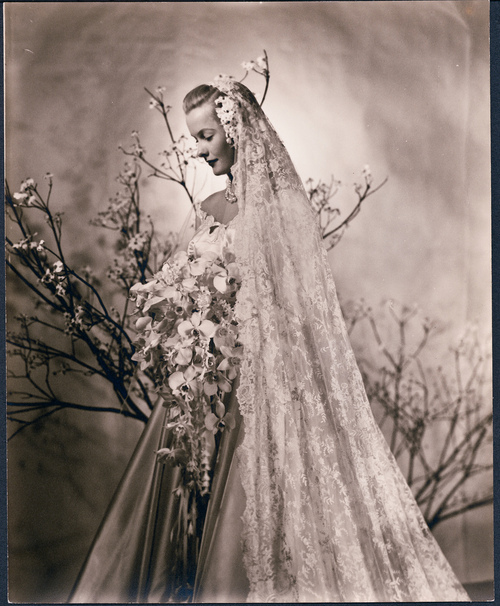 It’s tough to find a vintage gown at bridal chain stores, which focus on the latest trends. Fortunately, the Internet can point you toward online shops or local boutiques with more unusual styles. Try etsy for a variety of dresses, many of them individually made by artists. Modcloth is also a good source for gowns from the recent past, while RomanticThreads has an elaborate selection of medieval, Renaissance styles. If you’ve fallen for a contemporary gown but still want some vintage charm, add period accessories. A long string of pearls, for example, gives you a ’20s touch (your groom can sport suspenders), and Art Deco jewelry is perfect for the ’30s and 40’s. And everyone likes a nice pillbox hat. Or sport bright-red lipstick and a pin-up hairstyle for a ’40s look. Today’s bridal bouquets are usually round, so a sweeping cascade bouquet will immediately call to mind the early decades of the 20th century. Research the popular libations from your time period to craft signature drinks for the cocktail hour and reception. Everyone will want to try your 1950s Moscow Mule (think vodka) or a peach in champagne, which hails from the ’40s. For the meal, see if your caterer can re-create a recipe or two from your chosen era. If you’re revisiting your grandparents’ day, use one of Grandma’s recipes and give her credit on your menu! 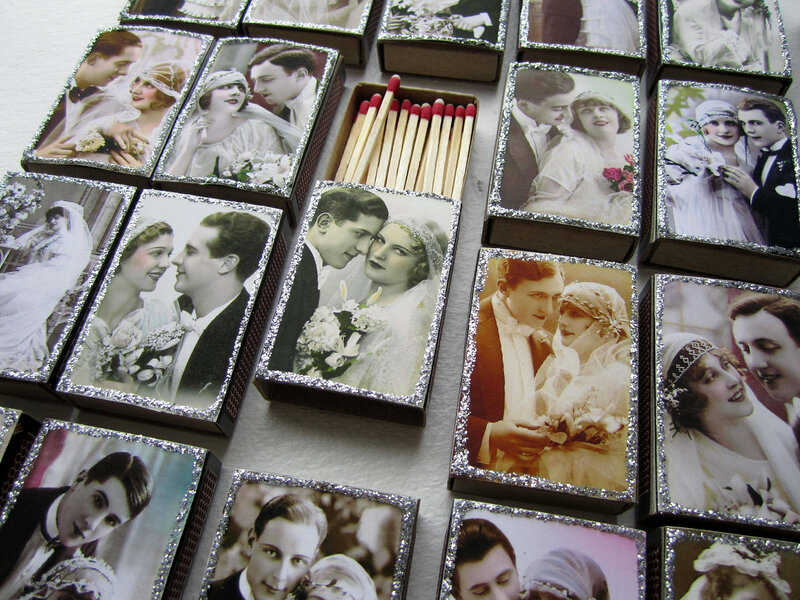 Let guests take a piece of the past home with vintage-themed favors. Retro toys or penny candy are great for kids, while grown-ups will appreciate small bottles of popular perfumes and colognes from the period. 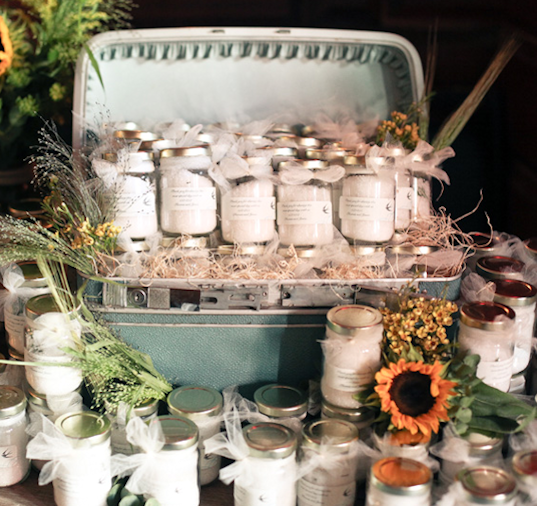 Other options: jars of Grandma’s jam, engraved letter openers, vintage-styled picture frames or pretty seed packets. 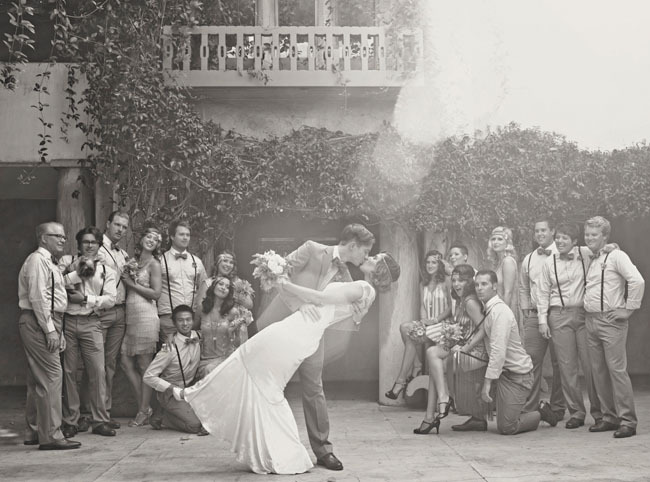 I hope you all loved Joy Sheppard’s tips on planning the perfect vintage wedding! I learned so much and can’t wait to plan my wedding someday! ← The Mode Merr Brunch Spectacular & Grand Performance Car Show! gorgeous! 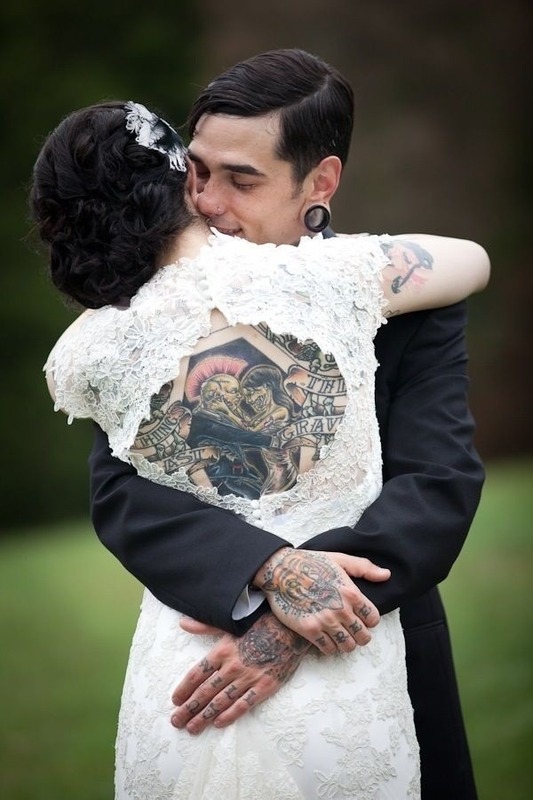 I love that tattoo through the dress keyhole. Totally not my style, but really fun! Wow! All these pictures were Amazingly beautiful. Lovely post. Me too. Always said I would love to get married in a black dress.